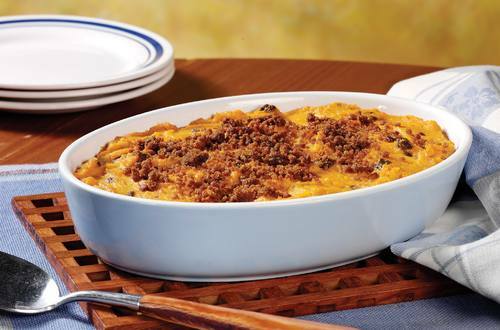 2 Combine sweet potatoes, 6 tablespoons Hellmann's® or Best Foods® Real Mayonnaise, raisins, cream, egg and sugar in medium bowl. Spoon potato mixture into 1-quart shallow baking dish; set aside. 3 Combine cookie crumbs and remaining 2 tablespoons Mayonnaise in small bowl. Evenly sprinkle onto potato mixture. Bake 30 minutes or until heated through. Let stand 15 minutes before serving. *VARIATIONS: Try stirring in drained crushed pineapple, toasted chopped walnuts or ground ginger. Or, omit crumb topping and top with 1/2 cup mini marshmallows.